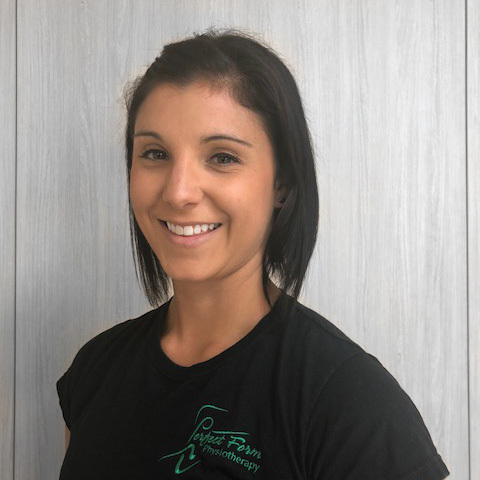 Stephanie has been a physiotherapist with Perfect Form Physio since 2017 and is a valued part of the staff at the clinic. She graduated from the University of Sydney with a Bachelor of Health Science and a Masters in Physiotherapy. Stephanie specialises in the area of gymnastics and aerial performance sports. She has extensive clinical experience with Elite Gymnasts and has travelled interstate at the National level providing coverage for the NSW Men’s and Women’s Artistic, Rhythmic, Acrobatic and Trampoline gymnasts. Her background consists of a fifteen-year history in competitive dance, with various styles including classical ballet, jazz, contemporary, lyrical and tap. She has competed at the State level, performed internationally and has attained advanced ballet certifications with the Royal Academy of Dance. She is now a current aerialist with particular interest in static trapeze, pole, silks and lyra, and recently won the title of Beginner Miss Lyra NSW. Stephanie strives to improve her skills and knowledge for these art forms and has a genuine passion for helping clients engaged in these during their rehabilitation process. Her depth of knowledge in this field also allows her to help in the area of performance enhancement in the absence of injury, essential for anyone wanting to compete at a high level. She is quite comfortable with providing treatment for both acute and chronic conditions and endeavours to ensure training loads are modified appropriately. She takes quite an active based approach and considers the development of an individualized strength and conditioning program a crucial element to a successful outcome. She believes knowledge is power and endeavors to ensure all of her patients are well educated about their body.